This is the most detailed picture to date of a large, edge-on, gas-and-dust disc encircling the 20 million year old star Beta Pictoris. It is compared with a previous image of the disc. 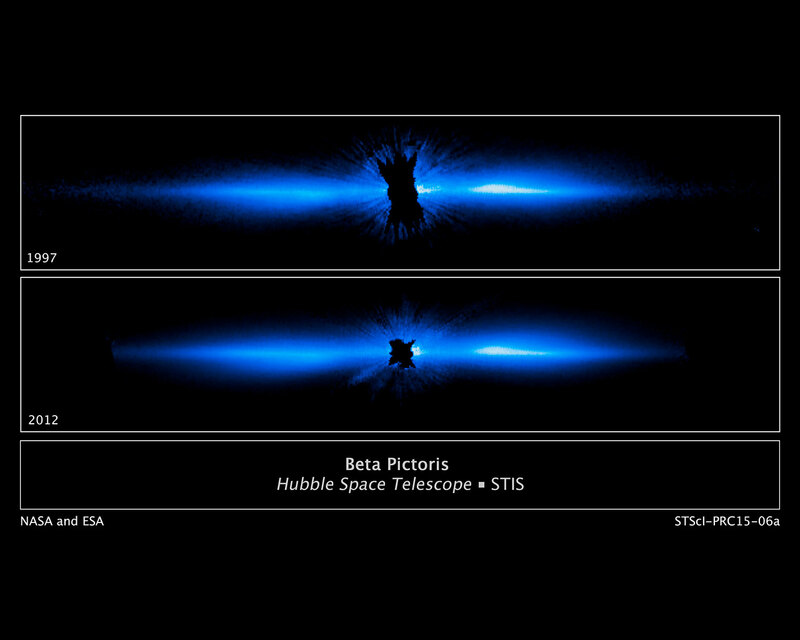 Beta Pictoris remains the only directly imaged debris disc that has a giant planet (discovered in 2009) with an orbital period short enough (estimated to be between 18 and 22 years) that astronomers can see large motion in just a few years. 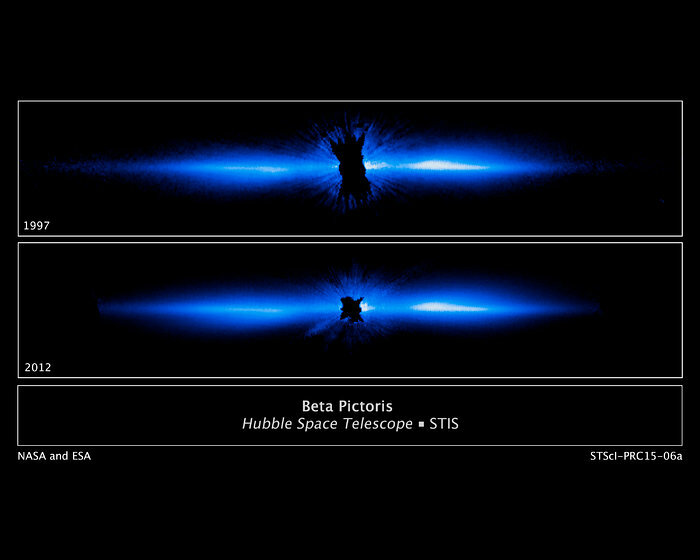 This allows scientists to study how the Beta Pictoris disc is distorted by the presence of a massive planet embedded within the disc. The new visible-light Hubble image traces the disc to within about one billion kilometres of the star (which is inside the radius of Saturn's orbit about the Sun).